Hope I made this card a teeny bit as bright and full of fun as the delightful Olivia is. 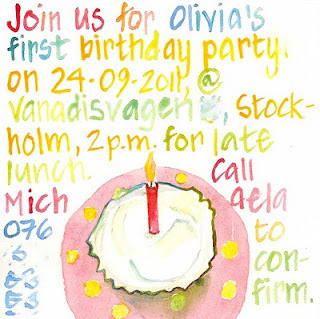 Off to Stockholm to celebrate her Big One this weekend. Happy Birthday, gorgeous girl!